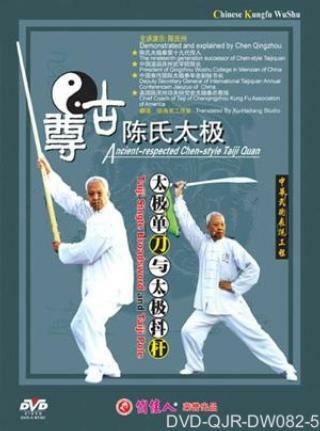 Chen-style Taiji Single Broadsword is one of the short weapon Taiji routines. This routine is short yet practical with the usage of every movement so realistic that fully reflects the characteristics of Chen-style taiji of complementary softness and hardness, the emphasis of both quickness and slowness, movements of dodging, transferring, jumping, sticking to follow, and twining to neutralize. The Taiji Shaking Staff routine is also short yet practical with the usage of every form and posture so realistic and powerful. Practise constantly will enhance your internal strength of crotch, waist and arms. It is also a unique way for improving endurance.